For who are not aware, Oracle 11g has introduced a serial direct path read which enables the efficient direct path read for the serial table scan. A couple of days ago, I was reported a weird performance bias between 2 nodes in 11g RAC. The query has the same execution plan on both nodes. But on node A, it takes 12 sec to complete while takes only 2 sec on node B. This performance bias was always reproduced. It took always 12 sec on node A and 2 sec on node B. The hint was direct path read wait event which means that the direct path read was being performed. Because this is not a parallel execution, we have a strong chance of the serial direct path read. Nocache LOB can’t be a reason here. If the nocache LOB is the issue, both nodes should have the same performance feature. But we should be careful when interpreting the wait count and wait time of direct path read event. We can’t rely on these values due to the mechanism of the direct path read. It seems that node A and node B had different environments(different cache size and/or different size of preload blocks …) and as a result, Oracle chose the different ways of executing FTS – direct vs. conventional. Can this be classified as another dark side(side effect) of the automization by Oracle? I’m not sure but the unexpected bias between the multiple nodes is always likely to embarrass the DBAs. Chris Antognini posted an article about the serial direct path read and repeated block cleanout problem here. I’d just like to add my own interpretation on this phenomenon. Oracle needs to cleanout the dirty blocks to determine the status of the block and rolls them back if necessary. But it does not mean that Oracle modifies the dirty blocks. It just checks the status of the dirty blocks. So, it does not generate redo and does not physically cleanout the dirty blocks. Following is the the result of block dump which helps you to understand exactly when Oracle physically modifies the dirty block. We can tell that Oracle internally cleans out the dirty blocks from the statistics. But the serial direct path read does not load the current version of the block into the buffer cache. So it cannot modify the current block. It just reads the disk-version of the blocks from the data file and refers to the undo to cleanout the dirty blocks. I think that it is unfair to call this a problem, but under certain situation it might cause problems like ORA-01555 error or repeated reads on the undo. Footnote1:The traditional term of cleanout meant the modification on the dirty block to me, but I realized that I need more sophiscated terminology. Footnote2: I believe that the parallel direct path read has the same design and feature with regard to the cleanout mechanism. It’s a good news – Oracle 11g has implemented direct path read for the serial full table scan! But I don’t like this kind of one-way optimization. What I want is to enable/disable it whenever I want it – putting Oracle under my control. So I had a research for a couple of hours and found how to disable it. Oracle 11g has introduced 10949 event to control this. "Disable autotune direct path read for full table scan"
// *Action:  Disable autotune direct path read for serial full table scan. Here is a simple and dirty example how to use this event. 1. Create a table big enough to meet the threshold which seems to be 5 * _small_table_threshold. 2. Now I compare the wait event(direct path read vs. db file scattered read) of the two queries – one with 10949 disabled(default) and the other with 10949 enabled. 3. Do you see that 10949 enabled one behaves just like the previous version? The famous db file scattered read event! Don’t forget 10949 event when you want to disable this great feature for any reason! Footnote1:What you should keep in mind is that this is not a CBO feature but a runtime execution engine feature. It would always show the same execution plan – TABLE ACCESS FULL. When the execution engine runs this operation, it determines how to read the table(direct path read or conventional path read) considering various factors. Footnote2:There is “_serial_direct_read” parameter which forces the full scan on the big table to be a direct read – The opposite of 10949 event. For instance, in my local database whose db_cache_size is 200m, the _db_block_buffers is 24950. Hence _small_table_threshold should be 24950*2% = 499. Why is this 2% threshold so important? 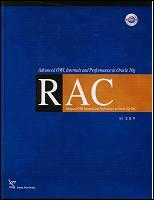 Because it affects the efficiency of LRU algorithm of the buffer cache. Table < (2%*buffer_cache) is located into the middle point of LRU list when loaded into the buffer cache. Table > (2%*buffer_cache) is located into the cold end of the LRU list when loaded into the buffer cache. This simple rule enables Oracle to prevent the buffer cache from being flooded by the full scan on big table. But the negative effect is that the full table scan on the big table is always physical(when it is read after the buffer cache got full). No matter how often the table is read. A couple of days ago, I was asked the exactly same question from my customer. What is the threshold of being small table? I was just about to say that the threshold is 2% of the buffer cache. But wait… I’ve never proved it myself. So I tried to make a simple test case to demonstrate the 2% rule. But, to my surprise, the famous 2% rule never worked! The more surprising thing is that in my local 10gR2 database, the threshold seems to be around 25% of the buffer cache. Here goes the test case. -- Read table big_table after flushing buffer cache. -- This would fill out the buffer cache. -- Read table t1(a bit bigger than 25% of db_cache_size). -- See that physical reads is equal to logical reads? -- This means that table t1 is always located to the cold end of LRU list. -- Read table t2(a bit smaller than 25% of db_cache_size). -- See that physical is almost gone? -- This means that table t1 is always located to the mid point of the LRU list. Small table threshold is just around 25% of db_cache_size with both of 100m and 200m size! This result gave me a strong doubt on 2% rule. Oracle would have unknown internal threshold. This threshold would vary by version and/or db_cache_size. Memory management algorithm would be another factor. 2% rule is poorly documented and it has never been fully verified. Well, from now on, I would not trust the 2% stuff. But I strongly hope someone would have better answer and test case than mine. One of the most beautiful and important features of Oracle database is consistent read. Yes, that is what makes Oracle be Oracle. But I always see many misconceptions and confusions on the consistent read among engineers. So I made a very simple and stupid demonstration to show how Oracle’s consistent read works. -- We have one CURRENT block(xcur). CURRENT block is always one and only! 3. Now, let’s see how consecutive DML statements generate CR blocks. Oracle seems to generate CR blocks in circual way. The maximum number of CR blocks per CURRENT block is controlled by this hidden parameter. It’s default value is 6 which seems to mean 5 CR block + 1 CURRENT block. Oracle needs to make a balance here. More CR blocks would enable logical reads without rollback but waste the buffer cache. 4. We need only 1 logical reads without rollback. 5. But 2 logical reads with rollback. This is the overhead of Oracle’s consistent implementation. UKJA@ukja102> -- Session #1. make DML statements on the block. We need at least 6 consecutive DMLs to make a full rotation of CR blocks. This would force Oracle to read undo block to build CR block for select query of session #2.
and should not end until the update completes). UKJA@ukja102> -- Which undo is being read? Note that Oracle read (file#=2,block#2966) undo block to rollback successfully. The overhead of rollback in consistent read is negligible at most time, but under specific situation, we get an unbelievable logical reads on undo blocks and/or ORA-1555 error. 6. 10200 event(consistent read buffer status) shows another interesting(but not that useful) information. When rollback is being activated by consistent read, Oracle seems to print all the related CR block information. As mentioned above, I just wanted to draw a simplified picture of how Oracle’s consistent read works. This basic demonstration would help you to understand how to interpret the pros and cons of consistent read in Oracle. One of my colleagues asked me about the meaning of buffer is pinned count and buffer pinning. The baisc concept of buffer pinning. In case of consecutive access on the same buffer within the same fetch call, Oracle pins the buffer so as to visit the buffer without acquiring the cache buffers chains latch and searching the cache buffers chains. The duration of pin is fetch-call scope, so we have a decreased overhead without the pin contention. So I made a very simple test case to demonstrate what is buffer pinning and how we interpret it. Here it goes. Note that index T1_N1 and T1_N2 have almost same data distributions, but clustering factors of big difference. The comparison using SQL*Trace shows that the index T1_N1(good clustering factor of 164) has only 186 logical reads but the index T1_N2(bad clustering factor of 9933) has 9,960 logical reads for the same volume of data! Big difference! Where does this number come from? Good clustering factor enables us to have a consecutive visit on the same table block. The result is frequent buffer pinning and decreased logical reads. Same effect with cache buffers chains latch. The main usage of buffer pinning is table access by rowid via index and nested loop join. One thing to be cautious about. We do not have 100 times of performance gain with 1/100 of reduced logical reads. Buffer pinning enables us to read the buffer without the overhead of latch, but we still need to read the buffer! As far as I know, we have no direct control on buffer pinning. 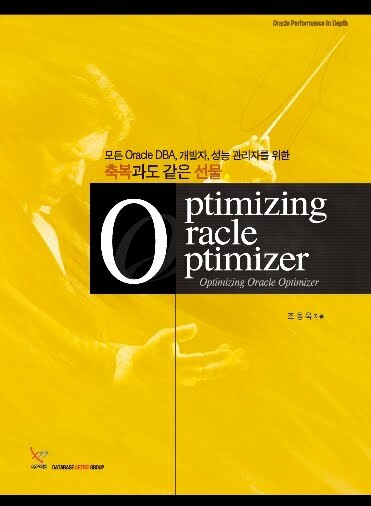 It’s intrinsic mechanism of Oracle. But you can still make the use of it for index scan and nested loop join. It matters how the corresponing datas are sorted. Keep buffer pool is designed to keep objects that are frequently accessed through multi block I/O. But I’ve seen several cases that people want to load index(not table) into the keep buffer pool. To alleviate the random access I/O on index. Some people are skeptical on this. When the index is accessed through single bock I/O, the visited blocks are loaded to the mid point of LRU list. When more sessions visit them, they would got promoted to hot area. Yes, theoretically, there would be no reason to keep frequently accessed index. Frequentl accessed index would survive anyway! But in real life, I’ve seen many people who want to gurantee that the index never gets flushed out from SGA(but who can guarantee?). And in one speical case, I had a customer who wanted to preload the entire index to keep buffer just after the database starts up.